Many customers grow attached to their vessels but over time want more performance, fuel economy, or just an upgrade. 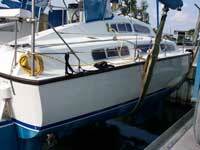 The best way to go is to repower with Marine Maintenance. 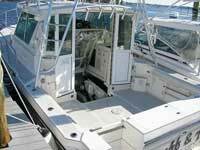 You will save a lot of money and undoubtedly give your boat new life. 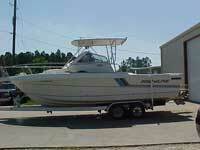 We handle commercial charter boats and recreational pleasure boats. 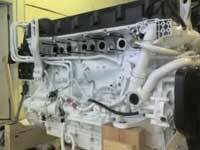 If you are thinking of a repower we would be happy to make up performance comparisons to help you decide on an engine. Odds are we have repowered a similar boat. After going to your vessel with engineering drawings we would be able to give you a few options on different ways to proceed. Please view our track record and pictures. We strive to serve customers with quality work that is truly up to date and can stand up to the grueling conditions found in a salt water environment. 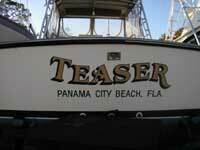 Here we strive to make your boating experience as pleasurable and problem free as possible. 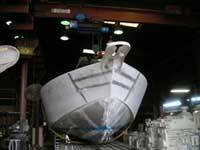 We take the time to understand our customer's boats. Doing so allows us to find the perfect solution and deliver exactly what you are looking for. Our certified technicians have years of experience, we are dedicated to our work, and stand behind it. Our team is more than capable and on the cutting edge of technology. 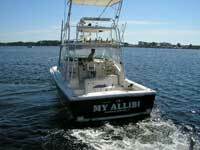 At Marine Maintenance we take your passion for boating and the water seriously. Our employees are dedicated to doing the job right the first time. For quality control and customer service we come second to none. 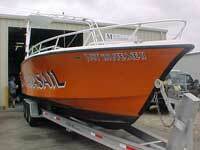 If you are a boat owner who understands quality and the value of a dollar you need Marine Maintenance for the job. Click on the links below to view some of our recent repowers or email us at Repowers and we will be glad to help you. Notes: It is a very hard decision to make. To go from gas to diesel? This job proves the benefits! The classic confusion of hp vs. torque. Torque wins, and a fuel burn of 2/3rds savings. Notes: After years of reliable service and a few recent breakdowns it was time to repower and upgrade. 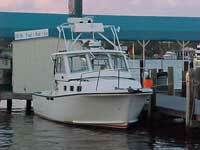 We installed a larger engine package and the boatyard built a 2nd station. 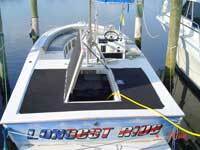 Boat speed increased, noise, smoke, and vibrations were virtually eliminated. Old stiff throttle and shift cables were replaced with fly by wire. All this made for a VERY happy owner. Notes: commercial parasail boat, fuel savings over 50%, custom hydraulic drive. 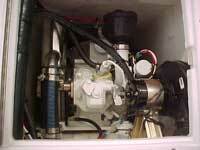 Marine Maintenance also modified the water intake for hydraulic coolers. 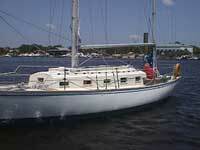 Send mail to Marine Maintenance with questions or comments about this web site.